In today’s episode we get into the nuts and bolts of what actually makes good SEO for your website. We talk about best practices, things you should be doing and things you definitely need to avoid. If you want more organic traffic coming to your site then this is the episode for you. In last week’s episode, we were able to set the foundation of how SEO works, what search engines do and what kind of expectations you should have in regards to SEO. Contrary to popular belief of many Veterinary Professionals, SEO isn’t a magic wand that suddenly sends streams of traffic to your website on command. You need to wokr at SEO because it is constantly changing in order to try and give better results to people who are searching. 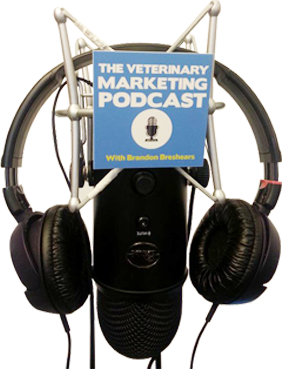 With veterinary practices, local SEO is extremely important, and so when we talk about SEO in this week’s episode, it is all about how to drive local searchers into your practice. There are 2 parts to SEO that we cover, on site SEO and off site SEO. First I cover on site SEO, or how to format and adjust your website so that it is optimized for search engines to identify your site and the content on it so that it can deliver it in relevant searches to potential clients. Off site SEO are things you can do that aren’t on your website, but are things like link building, submiting site maps to webmaster tools and evaluating current links that you have pointing toward your site. Both are important and we cover the basics to make sure you’re on the right track. Great Podcast! Many Vets dont give enough attention for Local SEO or even a good, modern website. Sure, it depends on where your practice is. A vet out in the country doesnt need so much “marketing” if hes the only vet around. But in bigger cities its important to optimize your website as good as possible.